The Moleskine Art Plus Large Japanese Album offers a unique notebook design influenced by the traditional Japanese horizontal emakimono scrolls. 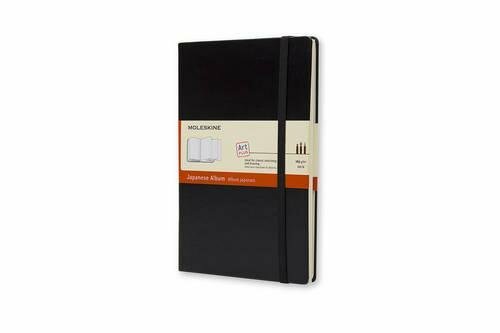 Perfect for drawings, collages, and sequences, this book contains one sheet of heavy-weight sketch paper that is folded into 48 accordion pages. – Hard Cover with elastic closure.